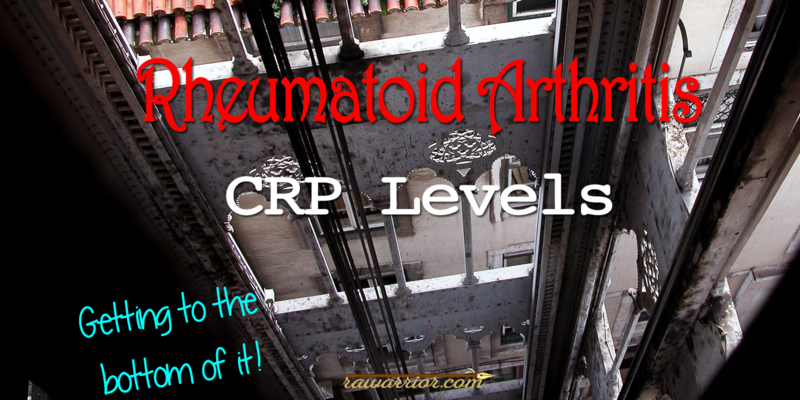 Why look at rheumatoid arthritis CRP levels? C-reactive protein, commonly called CRP, is a protein that can be produced by the liver in response to other immune activity, especially the increase of IL-6. CRP can rise quickly in response to many inflammatory conditions such as infections or injury, helping clear out dying cells or bacteria. 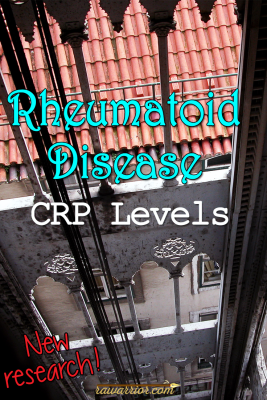 Many doctors use CRP levels to help diagnose rheumatoid arthritis or detect unseen disease activity. A normal CRP should not rule out rheumatoid disease activity, but confusion over this causes problems for many people living with rheumatoid disease (PRD). A poster at the recent meeting of the American College of Rheumatology (ACR) defined three considerations for interpretation of rheumatoid arthritis CRP levels: The Relationship Between Elevations in CRP With Physical Function and Radiographic Progression Over the Long-term in Patients With Rheumatoid Arthritis. Let’s take a look at how rheumatoid arthritis CRP levels relate to physical function and radiographic progression (bone erosion). TAKE AWAY: Higher CRP could indicate greater risk for bone erosion, but longer disease duration increases this risk. TAKE AWAY: A majority of PRD with normal CRP still suffered bone erosion, so physically examining joints is more important until better blood markers are found. TAKE AWAY: CRP is only weakly related to disability. Many practitioners rely on blood tests such as CRP instead of more labor-intensive physical joint examinations and health assessment questionnaires (HAQs). They may tell PRD they are doing well or have low disease activity, based on CRP levels. Investigations like this one expose the flaws in over-reliance on CRP. An indicator should not be confused with the actual thing it is meant to measure. CRP is like a smoke alarm. If a smoke alarm goes off, then people should search for a cause, possibly a fire. However, it remains possible to have a fire without an alarm. WHAT IMPORTANCE DO DOCTORS PLACE ON CRP? DO BLOOD TESTS DETERMINE SO-CALLED REMISSION? HOW MANY PEOPLE HAVE DISABILITY & DAMAGE WITH NORMAL CRP? Thanks for explaining what this CRP blood test is for. Sounds like it could give a false hope regarding inflammation. My levels have been under control but I think I have more bone erosion and loss than active inflamation. Hmmm. During a recent flare that I considered bad my crp was 6 and my esr was 45. I am also seronegative. It’s frustrating to me! I feel horrid but my dr has no indicators. Makes me wonder! Jane, I think how you feel *is* an indicator. In your case, you had an elevated ESR to back you up. But either way I hope the doc recognized it as a flare. My crp was only elevated at first. Now it’s normal but my ESR still gets to 80 or more. thanks Telyn. Did you think either one tracked correctly with your symptoms? My ESR tracks correctly but my new insurance requires I get labs at a lab mill, and it will always be normal due to the delay in them running the tests. So my rheumatologist rarely checks them anymore. I’ll only get an accurate reading in the ER or urgent care. Actually in my case, I was on biologics but had to go off when we were trying to get pregnant with our second baby. During those 2.5 years I went off the biologic and I think that’s when the damage was done. We gave up on baby #2 cause pain was getting too bad, so I went back on Remicade and got pregnant after the first Infusion (then my RA doc tells me it can help with fertility). So the Remicade is controlling the pain now but those years that I had joint damage, I can’t quite get back. But I now have 3 beautiful baby boys. I had no elevated CRP levels when diagnosed with Psoriatic Arthritis 1987 but it was obvious with raw flesh and Rumatoid pain though it took 6 months to find someone who could diagnose it. Many years and different treatments later I was at a point where to continue getting the bioglogic mess I needed to have a certain number to qualify. I had just finished a flare but somehow the numbers came up. Many more years later it is of little interest to specialists what works or hurts or even show much interest in looking at you as it all just the numbers. I have definitely declined in the last 12 months in all areas of health but ‘whinging’ is looked down on and as long as you are reasonable, I am an optimist by nature, there is no interest in examination physically or by questioning. Thank you for explaining your experience Bob. That is fascinating. I think I have figured out some of these things but I didn’t live through them as you did. I’m seropositive for RD but have never had an elevated CRP or ESR as well as little swelling in my joints. I did well on Remicade but had to stop because of developing autoimmune hepatitis. For the last 8 months my dr has been confused as to why I have pain. She finally sent me to get an ultrasound and her office called to let me know that my RD was fairly active and I’m beginning to get bone errosions so she would like to add another medication. I’m glad the ultrasound could show what I’m feeling. I always (almost) have negative labs CRP and ESR. But, the new Vectra DA shows severe RA. I have bad joint damaged hands, feet and back so after 28 years there is no question whether or not I have RA. It’s obvious. But, I remember years of docs not believing. It’s too bad for the patient! Is there a range docs tend to go by for CRP? I only ask because I am still pending a diagnosis and my most recent blood work came back with CRP 90.1. September it was 10.5, October it was 14.1 and this past one there was a huge jump. The reference ranges are different for each lab for good reason (different ways to estimate) so you must look at the range listed in your results. If it wasn’t given to you, ask for that. Regardless of any standard I’ve seen, 90 is very high. CRP is not definitive for RD but something is obviously going on with those changes as you said. Good luck. I am seronegative RA. It all started with L hand-trigger finger. Thanks for sharing Julie. There’s proof even “seronegative” can be aggressive. For anyone reading who had doubts. I’m glad you found a good doc who knows the value of ultrasound. 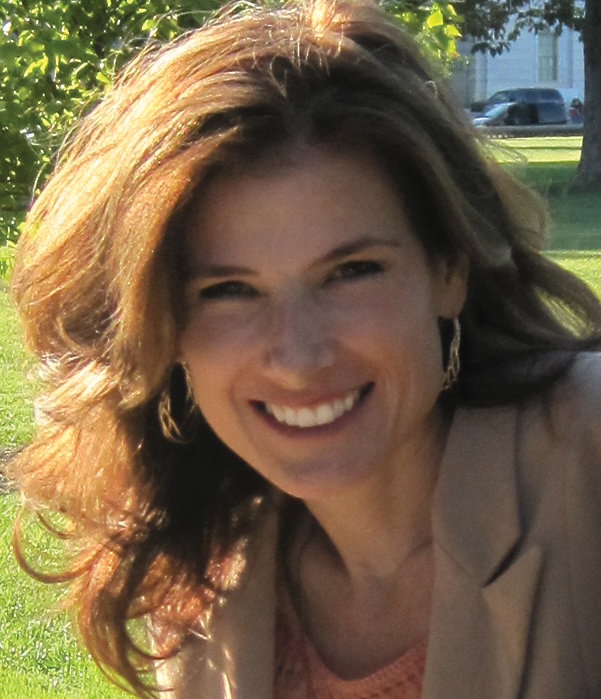 I was diagnosed with inflammatory arthritis (RF positive) 14 years ago! (However never fulfilled criteria for Rheumatoid arthritis!). I am currently on Methotrexate and Sulfasalazine. All CRP and ESR levels have always been considered normal.I always hope my Rheumatology team understand when I tell them I have had many flare ups and can feel when most of my body is in pain and stiffness. I do wish they would do ultrasounds instead of relying so heavily on blood markers to show inflammation. Despite all I can see for myself that certain joints have changed. Anyway thankyou for these posts. They highlight what many of us with “normal” blood markers probably feel! I’ve read a lot about ESD, RF, and CCP. I was only recently diagnosed about a month ago. My doctor sent some of blood off to a lab in California that apparently does a very extensive autoimmune pannel. When I went for my follow up/DX appt last month she went over all the labs, both that one and the local ones and the xray. First local, my CRP was 10.4 and ESD 18. She said that showed there was inflamation. More extensive – Tier 1 negative. SLE-Associated ANA (same as above) 20 units positive. HEp-2 cell fluoresence 1:320 speckled nucleur pattern. She said all this showed that I didn’t have Lupus but there was certainly some autoimmune issues. So my Rheumatoid auto-antibodies. All were low but one which I dont hear a lot about and I’m curious about what people’s opinions are. My Anti-MCV was 69 U/mL. She said this was more sensitive and everything together showed her early stages RA. Is the Anti-MCV something most consider accurate or is it even looked at. Also, how often do you have blood rest ran to check these numbers? Can they fluctuate during flares and remission? I have so many queations and I’m work on a list when I go back in 3 weeks for another follow-up but I would like to be read up with support to back up my questioning. I have pretty bad edema pretty much everyday in my feet and legs and some pain in my chest/mostly back betweem my shoulder blades. Should i push to have test done on my heart? I have one eye that waters non-stop and lately they have both been getting a grainy, heavy, tired feeling. It last about 10 mins and goes away? I don’t want to be “that”patient and I feel like such a hypochondriac lately. I took two doses of methotrexate, then the morning after the second dose woke up with a flaming UTI. No warning. I have been on an antibiotic for that since the 19th. Two doses left and now I’m having pain in the area of my kidney on my left side and it occasional feels like its shooting down the my bladder. Had to miss last Fridays Methotrexate dose and was in horrible pain all weekend (thats how I found this blog I’ve been obsessed with since, looking for relief from the pain). Called the doctor Monday and they called me in a methylprednisolone pack. Started it yeatersay before breakfast. Had racing, pounding heart last night. Today a very flushed face, chest and legs, and lightheadness accompanied it. Nurse said not to take it until they can talk to the doctor. Hoping to hear back tomorrow. Is this normal? Is this what I should expect? Or is this just medication trual and error? Should I ask for a referral to see a urologist? I’d like to comment on Jessica’s experience even though it is some months ago, I hope she is better now. My husband was diagnosed Feb 2016 and had the swelling, pain etc. he went onto Methotrexate and Prednisone. In August he started IM Methotrexate weekly and within a couple of weeks came down with serious Bacteriaemia which put him in Hospital for a week. He also had a cough at the time and the Bacteriaemia was related to Bladder infection and Prostatitis. IV Antibiotics followed by ten days of oral Levofloxacin saw him get better. Unfortunately he developed Atrial Fib and the Atrial Flutter. So he had started treatment for that and the Prostate issues. During the week in Hospital and after discharge his RA symptoms disappeared. He was off the Methotrexate but continued with 5mg of Prednisone. The Reumatologist was a bit flustered with this outcome. After researching alternative treatments and because the symptoms disappeared on the Antibiotics we opted for that line of treatment. The RA Dr put him on Sulfasalazine and an infectious disease Dr put him on low dose of Minocycline. That was in November last year. He had the heart issues sorted out in Oct. beginning of 2017 was not great and I started massaging all of the affected parts, knees, ankles, feet, shoulders, elbows, hands with a couple of anti inflammatory things. Then I switched to making my own. By May he was doing pretty well and then he seemed to have a flare. He developed A fib again and was in ER for half a day. He was given Antibiotics for the chest – same cough. Azythromycin did the trick for that but the side effects of the heart drug or the flare left him with Anemia of Chronic disease, loss of weight – 36lbs in three weeks, but no joint pain or swelling. By the end of June he was back on Prednisone as he had chest pain – Pleuritis – and his eyes have become inflamed and irritable. Now he is seeing the Ophthalmologist to control the Intraoccular pressure. Possibly due to the Prednisone which we are reducing gradually as the chest symptoms diminish. We increased the Minocyline and he is considerably better. The ESR is still elevated, CRP still elevated but the Rheumatoid factor has come down from 600+ in Feb last year to 70. So there is still something going on but the joints are pain free and no swelling. He takes truck loads of supplements which have been beneficial. Especially important has been Serrazimes which reduce Biofilm and Probiotics. So the only drugs are Sulfasalazine 2gm daily, Minocycline 200mg alt days and Prednisone 10mg. And the eye drops. So far things are looking up. Jessica, your not crazy. I went thru all those things with all negative labs for almost 2 years. I was a working nurse that started out with right ankle pain as if i had sprained my ankle and keep getting worse over 1 week then started swelling. As a few weeks passed it spread to to the other ankle then to hands an wrists. It got so bad i couldnt wear shoes and had to take leave from work and little did i know i would never be able to return. I can look back now and realize the low grade temps and joint pain during rainy weather was the starting point and the red flushed face at that time made my co-worker/nurse practioner think I had lupus at that time. I’ve always been seronegative, neg ese, neg Ana, neg ccp , an neg crp. I’m very sensitive to meds and was unable to take any anti inflammatory drugs caused bleeding, allergic reaction to plaquinil, methotrexate and steroids caused severe hot flashes and didn’t help, humira put me in the hospital and I was diagnosed with copd which I don’t have, the humira affected my lungs and my breathing is now normal since stopping the humira. Several other meds were tried and unable to tolerate to the point of causing my husband to leave an ready to divorce me since I was unable to go out without having some sort of attack either sever chest pain, passing out or couldn’t breathe. I wanted to die i was so tired and frustrated. I was finally put on acting a but stayed so sick until I had to change rheumatologists and he had a fit because I was being overdosed on the dosage. After correct dosage I’m doing alot better but the first 3 days on and after inj I feel weak n nauseated an have to lay around. I do ok with it combined with pain meds. Its a miserable permanent processed that has caused alot of deppression an anxiety. Im still seronegative but my latest crp level is 15. Im now receiving steroid injections in my back n hip and also had a radio frequency ablation in my back. My mri shows arthritis all thru my spine. All this has occurred since first diagnosed in oct of 2014. Frustrated so much because if progressed this much with treatment since 2014 am i gonna be able to even walk in 10 years from now and diagnosed at 45. That’s a good life but I want alot of good years to go not be crippled somewhere n probably dumped off in a nursing home. My immune system is very low with the acting a. I have a 3 year old grandson in head start n catches every virus. I caught his cold back in July and ended up with pneumonia. Therefore I couldn’t take my actemra, 7 rounds of antibiotics, 4 steroid dose packs and 3 rocephin injections, daily zyrtec and 17 weeks later of suffering and misey I’m finally better and took my first actemra yesterday. Sorry for the rant. This whole process is just exhausting, life changing and miserable. 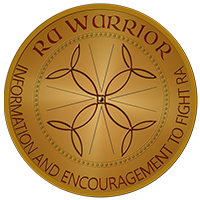 I was diagnosed with RA and Mixed CTD aboit 3 years ago. I was initially put on Plaquenil and Methotrexate and recently got off the Plaquenil as it affected my eyes. Sulphasalazine was added to supplement Plaquenil sometime in January. my CRP levels were elevated only once in the initial stages of my diagnosis and now again mu current lab results show an elevated CRP level despite no flare ups. When I had major painful flare ups never was the CRP level elevated and now its at 7.5 and makes no sense. Any thoughts on this please share. Hello.. i have been diagnosed with seronegative RA by my orthopedic.. my crp is 8.7 and serum globulin is high and all the blood reports are normal.. I’m in the very initial stages he says.. i have pain and swelling in almost all joints since one and half months.. don’t have stiffness in the morning.. but recently I’m seeing changes that there is more pain n stiffness has been a little in the morning.. my Rheumatologist believe its not RA or they are not able to diagnose.. I’m on methotrexate and HCQ since 6 weeks.. Please help me.. if anybody has gone through same stuff..
Yesm Sheetal, many have been through similar symptoms. Please continue to seek medical help — it often takes a while to find a medicine that works. 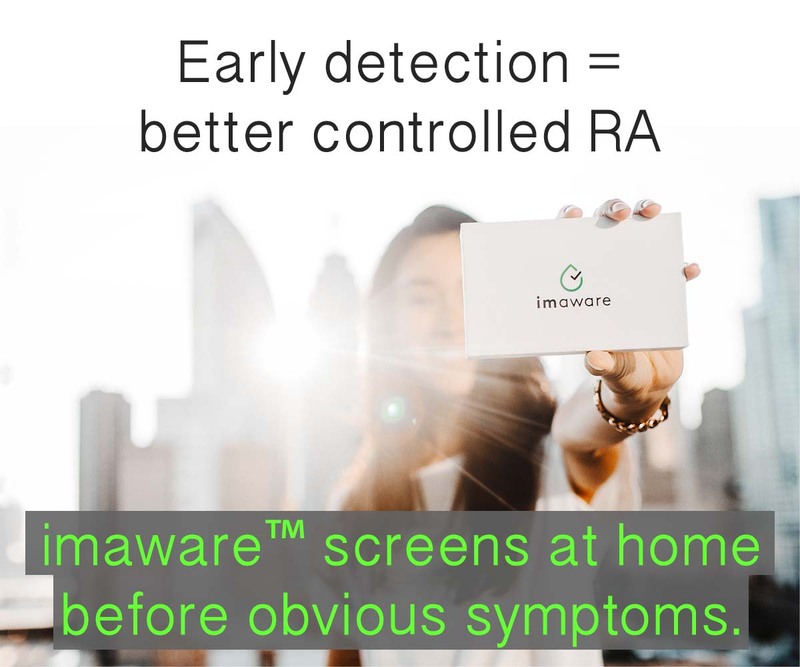 Many doctors rely on ESR only to detect inflammation, yet there is a small percentage of rheumatoid patients who’s ESR is normal, but the CRP is off the charts.